A tweak here, a tweak there and all of a sudden Holy Angels has it figured out. For now, anyway. After starting the year 1-2, coach Greg Trebil elected to do something he and any veteran hockey coach would do for a spark. He switched up his forward lines prior to the Schwan Cup Silver Division tournament. It worked to near perfection. The Stars won the opening game 6-5 over Burnsville, then followed it up with a 7-0 shutout over Blake and defeated Cretin-Derham Hall 8-5 for the championship on New Year’s Day. For now, Trebil’s team is well on its way to being a serious contender with what they’ve got. Holy Angels throttled Farmington 8-2 on Jan. 4, a game that had players eyeing 75 shots on goal after they peppered Tigers goalie Victor Simones with 43 through two periods while holding a 5-1 lead. The Stars settled for 59 shots on goal. Even in the thrill of victory assistant coach Guy Olson still cautioned for the team to keep things in perspective. 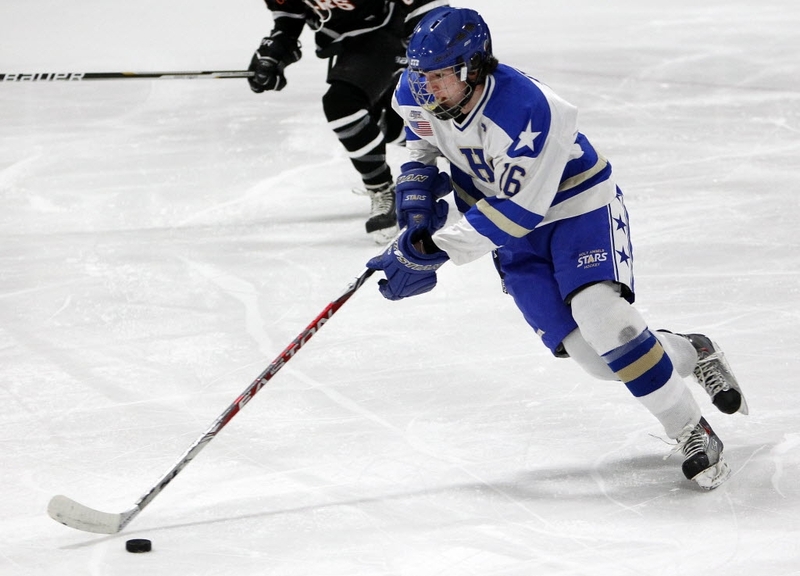 Holy Angels jumped to a 3-0 lead over defending Class 2A state champion Edina on Friday, but the Stars gave up four third-period goals — the last two 22 seconds apart in the game’s final minute — to lose 5-4. Though the team turned around and beat Shakopee on Saturday, there was hardly a good vibe. While leading scorer Joseph LaBate had a hand in all four goals against Edina (a goal and three assists), role players found their way onto the score sheet against Farmington while LaBate settled for a single assist. Brendan Wise, Nick Sauro and Charlie Haben all recorded their first multipoint games of the season against the Tigers.